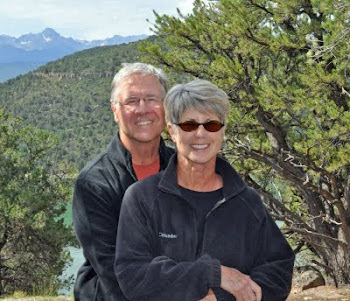 Find us on Google+ Rick and JoAnne's RV Travels: June 21, 2010 Monday It Takes Your Breath Away! The California and Oregon Coastlines honestly do “take your breath away!” Every turn in the road, each pass you travel over, and with each bend in the road you see stunning beaches, deep blue green waters, extreme forests, and magnificent sea and wildlife. We’ve arrived at Sunset Bay State Park in Oregon - One of three State Parks along the Cape Arago Highway. The bay was named by Thomas Hirst, an early settler in Coos Bay. It was used by fishing boats and other shallow draft vessels as a harbor for protection against violent ocean storms.